But then the clouds started growing darker and meaner. I went to the Backwoods Stage to see if Hot Buttered Rum was still going to play. There was a small crowd of about 15 people hoping to see the band play. Then over the crew’s radio we heard news of a tornado watch and that the festival was stopping music for the time being. The small crowd waiting for Hot Buttered Rum was devastated. So what else was the band to do but come out into the crowd and play an acoustic version of one of their songs? So that’s what they did; Aaron Redner (fiddle and mandolin) and Nat Keefe (guitar and vocals) played one song for the small crowd. It was such a treat! I can’t tell you the name of the song they played (I wish I’d gotten the performance on video). Unfortunately, after the song security made everyone leave the stage area to go find shelter. And yes, we had needed shelter. After we left Backwoods Stage the rain started coming down. Then it was pouring. Then there was hail (larger than pea-sized!). Then there was calm. Then sun. And then finally...music! It took awhile to get the stages set up and organized after the storm and the schedules were really wonky due to the time spent holding our canopies and tents to the ground. So unfortunately, there was no real schedule, you just kind of had to guess. Luckily, I managed to catch a few bands that I had really wanted to see this year. When I was wandering around the stages trying to get a handle on what was going on, I stopped by the Outpost Stage and watched a little bit of The Heavy Pets. This is definitely a jam band that rocks. While they aren’t quite my style, everybody in the crowd was having a great time dancing and avoid the puddles of rainwater that snuck under the tent. Next up headed to the Revival Tent to see what was going down there. SOJA was playing, a reggae band based in Arlington, VA that sings about unity, peace and love. It was a very positive show and everybody was having a great time lighting up and getting down. After awhile I left to go see what was happening at the Satellite Stage. Thank god I went down there, because my most anticipated DJ duo, Adventure Club, was about to start playing. They do a lot of remixes of awesome songs like Metric’s “Collect Call”, James Vincent McMorrow’s “We Don’t Eat” and Flight Facilites’ “Crave You”. 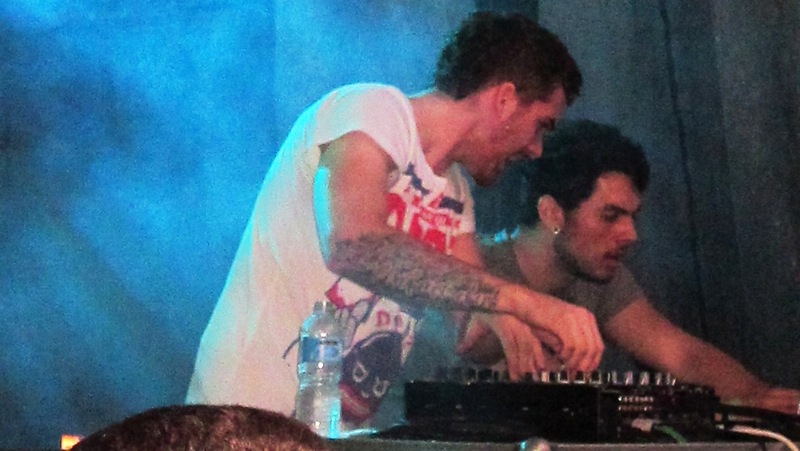 Because of the rain, Adventure Club was only able to play about six songs. They were all amazing, but I was so sad they didn’t get the stage time the duo deserved. If you’re a fan of electronic music, give these guys a listen! After Adventure Club I headed over to the Outpost Tent to hopefully catch some of Keller Williams’ set. Luckily, I got there in time to hear “I Love California” and an epic 10-minute version of “Freakshow”. I was really impressed with Williams’ talent and innovation, as usual. It’s obvious he loves performing and creating sounds that are unusual for his genre of music. 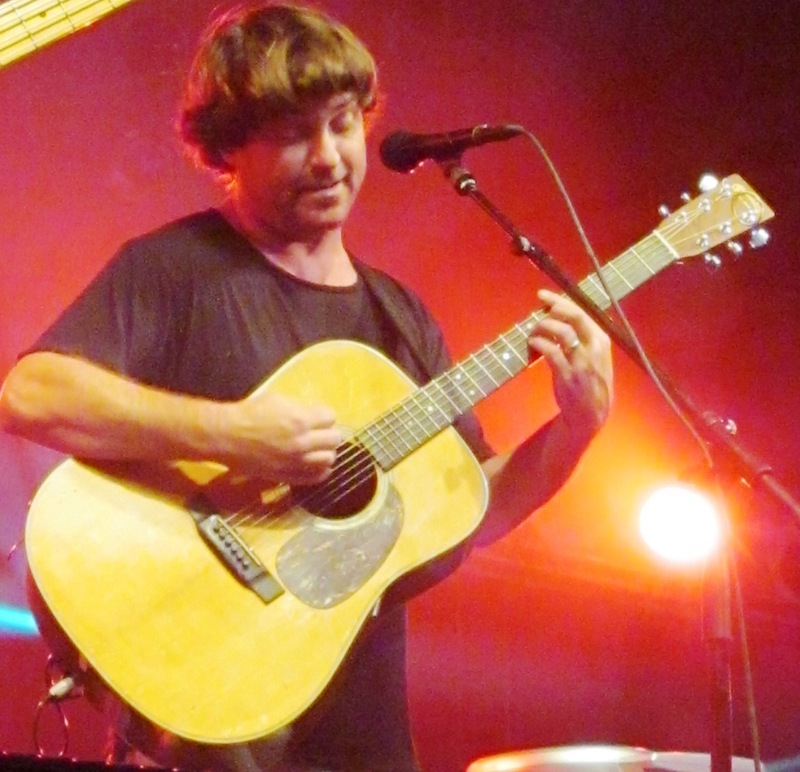 From his on-stage mouth trumpet and the looping machine he uses to the acoustic guitar sounds he uses, you can always expect something awesome and inventive from Keller Williams. Unfortunately, I had to leave pretty quickly after I watched Williams play. So I swung by the Revival Tent to see how Matisyahu’s performance was going. I had been really excited to see this show, but his performance did not live up to my expectations. 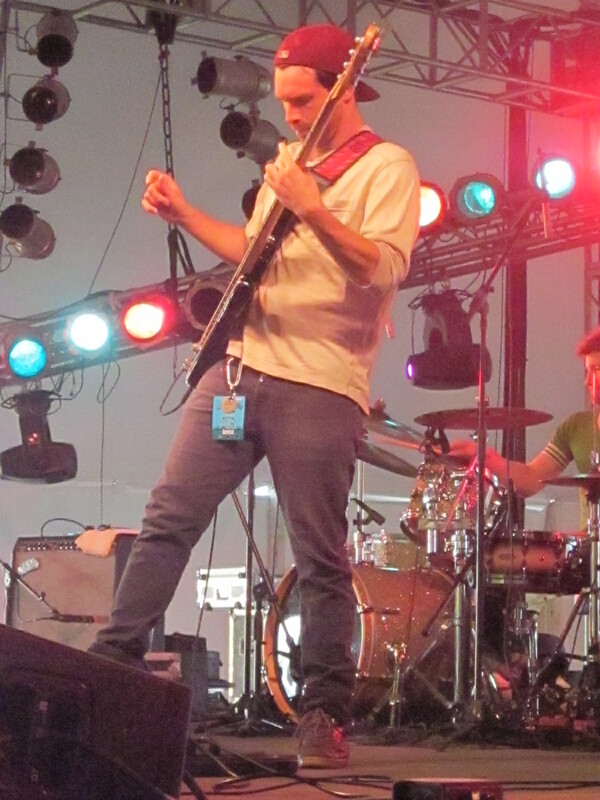 The stage was too large for the four-piece band, and Matisyahu was not an exciting performer. In fact, he seemed a bit egotistical on stage. The songs the Matisyahu played sounded excellent, but I’m a strong believer in live music requiring performance, not just good musicianship. I wish the last show I saw hadn’t been so lackluster, but next year will be different - I’m sure of it! Overall, my Wakarusa experience was wonderful. There were beautiful people, fantastic music and I have some really awesome stories to tell and new music to share. The weather made the festival better (Except for the cancelled music) if you ask me. And the temperatures were perfect throughout the weekend. I couldn’t have asked for a better 4-day music extravaganza, and it’s right in my own backyard! I hope to see at next year’s Wakarusa or at Harvest Music Festival, which will be going on October 11-13. The lineup is out, so have a look at it and I promise, you won’t have to convince yourself to go. Thanks for loving live music! Check out more photos from day 4 @ Wakarusa.